Back from the land of the rising sun, Kyle answers questions from the listeners about the voyage. Episode #96 is a plain and simple episode. No news, no suggested reading…barely any music. That’s because the entirety of this episode is spent answering questions from the listeners about the trip to Japan. In addition to Bryan and Rachel coming in for some much needed backup, we introduce a new voice to the podcast. You probably heard her mentioned, but this is the first “on mic” appearance of Lady Kyle. 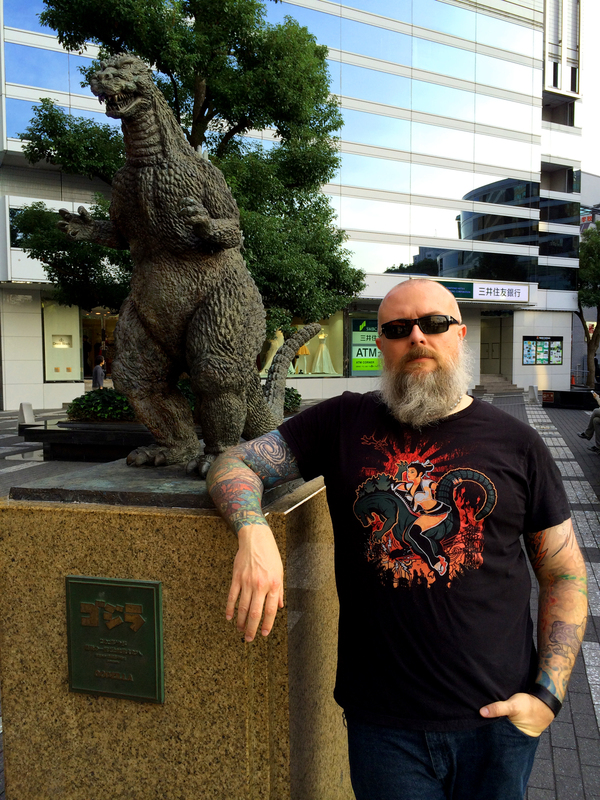 Lady Kyle and I went to Japan for almost two weeks and had one hell of a jam-packed, kaiju-centric vacation. Instead of orating what we did every day, we pretty much just answer the questions both in long and short form. It was an unforgettable experience and I know I will return some day. We get a little off the topic of kaiju after a while, strap yourself in for a conversation that includes information about a cat cafe and Tokyo Disneyland. Major thanks to the facebook listeners that submitted questions. We only played the one track and it was at the end of the episode. If you really want something to check out, the first wave of Diamond Comics’ X-Plus figures hit comic shops everywhere recently and they look fantastic! Go buy those and show your support for high-end kaiju releases (that is, if you have the funds). Matango aka Attack of the Mushroom People (1963) is our focus for this month’s Daikaiju Discussion and you still have a little time to submit your “homework” for this episode. Please send your thoughts, questions and reviews before November 23rd to be included in the episode!